Earlier today, Twitter announced that it would be supporting Mozilla Firefox’s Do Not Track mode in an effort to honor users privacy. Now, it has posted a new help document that clarifies its position: it supports DNT in all browsers that feature the mode. This is important in light of the new customized follower suggestions that it just launched today as well. The new feature provides users a list of options to follow based on you browsing to sites that have a Twitter widget or button installed. Obviously this is a type of tracking. Turning on the Do Not Track mode in your browser will stop this from happening. 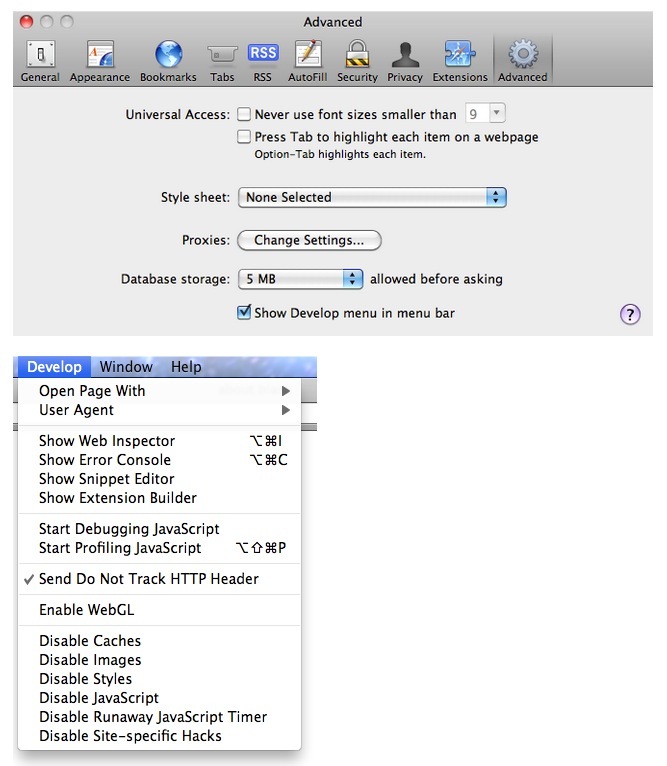 The document lists Safari 5.1, pictured below, Internet Explorer 9 and Firefox 5+ as having the option available, and says that Chrome 17+ users have access to a third-party plugin that enables the mode. The Do Not Track mode blocks tags of data used by advertisers and website owners to track users across their sites and networks. While most uses of these ‘cookies’ aren’t malicious in nature, they do exemplify how little privacy users have when browsing the web. It’s worth noting that the Do Not Track feature of Firefox will only work if a website, like Twitter, supports it.